Wood’s first chapter starts off talking about the development of a distinction that many of us take for granted today, the subject-object distinction. Wood describes the world without this split as “Natural phenomena were imagined to be an extension of human experience, and human experience was considered to be cosmic in proportion because the distinction between physical nature and the human spirit was not explicit.” This is also known as monism, where everything is inseparable. These cultures also gave rise to the ancient mythology, much of which we are familiar with. But Wood goes on the speaks of two groups of people that began to form the subject-object distinction: the Hebrews and the Greeks. The Hebrews made this distinction as early as Abraham. Because of this distinction, the Hebrews came to see a distinction between the created world and God the Creator, which lead to the understanding of God’s transcendence. They were the only group in that time to not hold to some form of monism, and they never adopted it because they were not prone to assimilation. The Hebrews became a group who had “the emancipation of thought from myth” and as a result they did not understand God in mythical terms. History then became important for making meaning of the world. The Greeks also made the subject-object distinction, but a little bit later and with some subtle distinctions. Beginnings with Thales and continuing with Democritus, then on to Socrates, monism slowly disappeared. Socrates was critical of other philosophers who failed to make a distinction between the material and spiritual world. He began to form the distinction of “the world of Forms (or Ideas” and the fleeting world of sense-perception”, in which the former were real while the latter was less real. Understanding of the Forms was then obtained through rational reflection. In addition, Socrates’ student Plato became the first writer to make an explicit distinction between the material and immaterial world, and the first writer to think of the existence of the soul after death. This idea affected Judaism to some degree. However, with the doctrine of the resurrection gradually developed in Jewish thought, the existence of the soul after death served to be an explanation of what happened to people in between death and the resurrection. Hebrew thought thus avoided the body/soul dualism, but still embraced some of the Platonic aspects. Platonic thought also played a role in the writings of Christian thinkers such as Justin Marty in his language about the Logos. Hebrew and Christian religion then are distinguished from Greek thought because God is personal and not merely some rational principle. Also, the Greek mindset did not really conceived of God being the creator of the world. They instead spoke of a Demiurge that created the world. Creation ex nihilo formed the main Hebrew religious tenet then. Overall, I find the relationship between the subject-object distinction, the existence of the soul, God, mythology and the world order all very interesting and logical. But something that begs questioning is whether the Hebrews really developed the subject-object distinction as early as Abraham? But this goes right back to origins of the Old Testament, and whether it has a genuine earlier authorship (or at least sources) or whether it was a later addition. 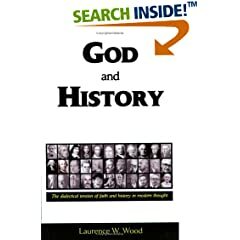 But, one can look at the progression within Genesis and see the materially getting progressively less and less mythological, which favors the sources coming from an earlier time, but reflecting the slow transition from mythological favoring monism to a historical based understanding of the world. But if the Hebrews were indeed the first group of people to develop this new world view, and it was accomplished through revelation, this might reflect one of God’s redeeming actions in the world by using Israel to be the basis to transmit the knowledge of the transcendent God, creator of the world. Also, if we look at religious thinking today, it is definitely shifted more towards Greek thinking than Hebrew thinking, where the immortality of the soul is emphasized and the resurrection is demphasized. But if the Hebrews represent the basic revelation that developed the notion of the resurrection, but not the immortality of the soul, then it might be imperative for the Church to move back to this Hebrew roots in this instance, and excise some of the superfluous Greek influence.